Searching for Tweets from verified Twitter accounts is simple with Social Bearing. From the homepage, or ‘Find Tweets’ in the Search menu, simply select the Advanced Search link and check the ‘Verified’ option as shown in the screenshot below before searching for the keyword(s) or hashtag of your choice. 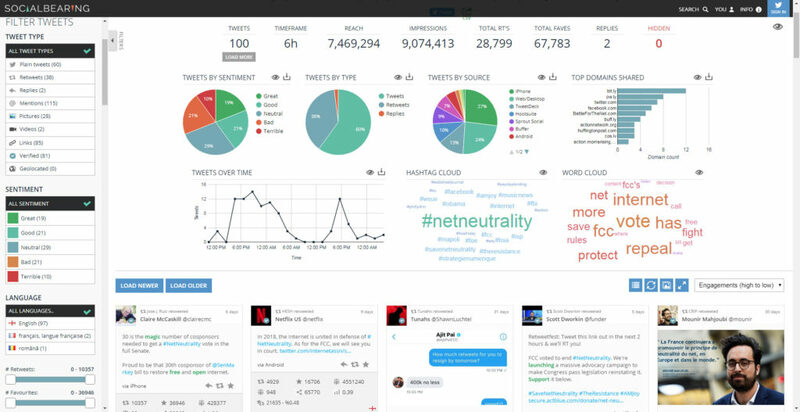 Lets compare an example search for the hashtag #netneutrality with and without the verified option. 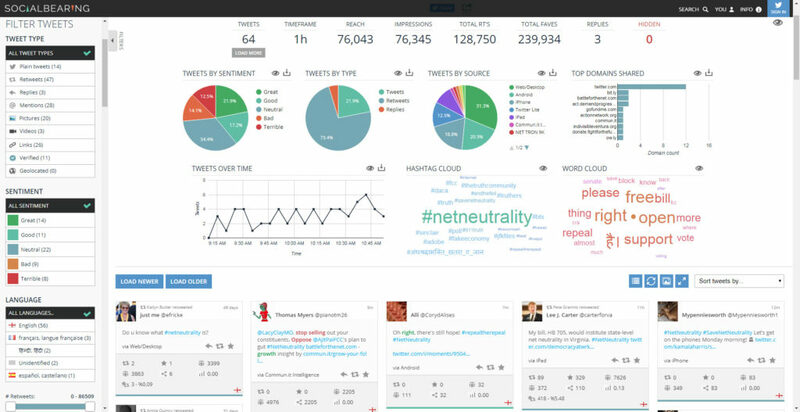 Within a snapshot of 100 tweets, verified tweets (including retweets and replies) include tweets from a mix of senators, politicians, major brands, journalists and activists usually advocating net neutrality. As there are fewer verified users on Twitter, tweets span over a longer time frame but they reach a much larger number of people due to the high following of verified accounts.